Vučić’s letter was sent to the President of European Commission, Jean Claude Juncker, and to several other EU officials including Federica Mogherini, Johannes Hahn, and to the President of the European Parliament, Martin Schulz. According to the Serbian Prime Minister, Serbia has not engaged in the game of escalating tensions, and has done nothing to harm Croatia or the Croatian people. 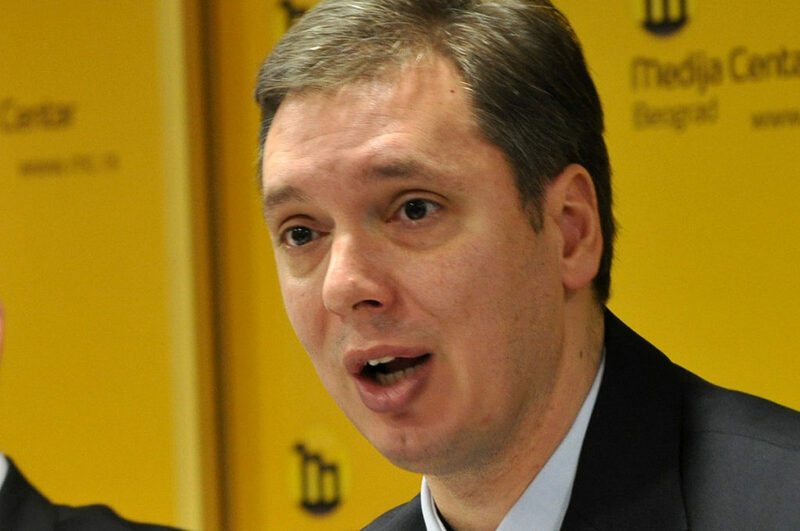 “Our obligations are to object to such policies like giving sainthood to criminals, or declaring terrorists as heroes and building monuments in their honor”, Vučić added, obviously referring to the recent annulment of the 1946 verdict to Catholic archbishop Alojzije Stepinac, who was convicted of ties with the Nazi-puppet NDH regime, and the annulment of the verdict to Branimir Glavaš. The relations between Serbia and Croatia have been strained since the Croatian blockade of Serbian EU membership talks. The ties between the neighbor nations were additionally strained by the two-court decision which annulled verdicts to Stepinac and Glavaš, who are considered war-criminals by Serbia. Accusations followed after the court’s decisions, in which both sides accused other of using “war rhetoric”. Serbia accused Croatia of an attempt to restore WW II fascist ideology, while Croatia responded with accusations that Serbia’s rhetoric is reminiscent of “Slobodan Milošević’s era”. Vućič explained that his letter is intended to clarify EU’s position on Serbia’s stances and acts, saying: “The weight of the problem we’re currently facing is huge, but I am quite certain that we will find a peaceful way out of it, in order to stabilize the situation in the Balkans. It is important that the EU discusses this issue, and lets us know if we have done anything wrong”.